Our extensive undergraduate offerings include courses in the languages, literatures, and cultures of over 16 languages. GNS currently offers four Undergraduate Majors, three certificates, and offers a variety of other courses that are under the GNS umbrella. 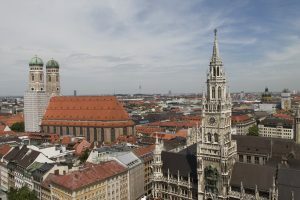 An aerial view of the architecture in Munich, Germany is pictured. Declaring your Major in German opens up a variety of opportunities, not only for personal growth but for professional growth as well. Our graduates go on to pursue a wide variety of careers – in business, public service, health care, law, engineering, information technology, education, and the arts – where a knowledge of German and the cultures of German-speaking Europe is useful. Many German majors are double-majors who easily complete requirements for both majors in four years. German students pursue second majors in the social sciences and humanities, natural sciences (especially majors leading to careers in health care), engineering, and business. Declaring a Scandinavian Major opens up a wide array of ways you can stand out and profile yourself as an exceptional, global, and innovative student. The Scandinavian countries have long been on the cutting edge of, among other things, sustainable energy, innovative bioscience, technology, healthcare, and social welfare. Learning more about these resourceful countries, their languages, culture, and ideologies not only benefits you as a student but gives you a decidedly positive edge in the eyes of future employers. The famous Danish “hygge” can spread into your everyday life as a student, and there are plenty of opportunities for careers and internships that you can explore. We are a small Unit and make sure your path to a Major is easy and manageable, and most importantly, interesting, exciting, and enjoyable. For more information, and questions about placement if you have a prior knowledge of a Scandinavian language, please contact Nete Schmidt. Choosing the Russian Major offered by GNS sets you apart from other job applicants. There are a host of opportunities within the Public, Private, and Not-for-Profit (NGO’s) sectors that are waiting for you upon graduation. The United States has a huge Polish-American population and the public/private sectors are always looking for Polish communicators. These major/minor cities that have a high Polish American numbers: Chicago (7.3%*), Cheektowaga (39.9%*), Toledo (10.1%*) and Pittsburgh (8.4%*). Banking, customer service, translators, and teachers will be in need in these areas. 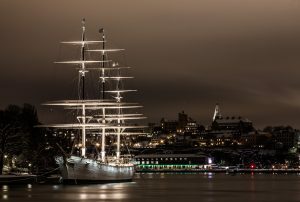 An illuminated ship docked at night by Stockholm, Sweden. The German Certificate is the first language certificate offered at the University of Wisconsin. The certificate in German offers students the opportunity to develop proficiency in German, thereby complementing major(s) in other subjects across the university. It also strengthens the applications of students who intend to pursue careers or graduate study in areas where knowledge of German is useful. The certificate in German is open to all undergraduate students, including Special students who may already have completed majors and earned degrees. Declaring a Scandinavian Certificate opens up a wide array of ways you can stand out and profile yourself as an exceptional, global, and innovative student. The primary difference between the Major and the Certificate is the language requirement, but even without all five semesters of a Scandinavian language, you are still enjoying the benefits of a unique addition to your diploma. The Scandinavian countries have long been on the cutting edge of, among other things, sustainable energy, innovative bioscience, technology, healthcare, and social welfare. Learning more about these resourceful countries, their languages, culture, and ideologies not only benefits you as a student but gives you a decidedly positive edge in the eyes of future employers. The famous Danish “hygge” can spread into your everyday life as a student, and there are plenty of opportunities for careers and internships that you can explore. We are a small Unit and make sure your path to a certificate is easy and manageable, and most importantly, interesting, exciting, and enjoyable. For more information, please contact Nete Schmidt. Are you of Czech, Polish, or SerboCroatian heritage–or do you just have a healthy fascination with East Central Europe? Can you imagine using any of these three languages in your future career or research? Since language and culture go hand-in-hand, the ECELLC Certificate combines language training (intermediate to advanced proficiency) with a wide variety of courses on the life of the region. Topics include vampires, science-fiction writing, Holocaust memory, and the pre-1989 culture of dissent as well as surveys of literature and culture by historical period. UW-Madison is one of only a handful of universities in North America where these languages are offered. Take advantage of the opportunity to learn them and to learn about the literatures and cultures of the countries where they’re spoken! The Department of German, Nordic, and Slavic will offer this certificate beginning in fall 2017. Course offerings in Dutch include five semesters of language instruction as well as courses in the literature and culture of the Low Countries. Courses in Dutch language satisfy the L&S foreign language requirement, while courses in Dutch literature and culture carry literature and humanities credits, respectively. Dutch literature is also offered under Literature in Translation. The UW-Madison Russian Flagship Program is an innovative undergraduate program that offers highly motivated students in any major the opportunity to reach a professional level of competence (ACTFL Superior/ILR 3) in Russian. The program draws on the strengths of the UW-Madison Russian program, among the leading programs in the nation: students acquire language in context, through Russian culture and informed by Russia’s complex history. Students study Russian through active engagement in class using the newest available materials in print and online; through the exploration of texts, music, film and video; and through current news and constantly updated sources. Students learn to live Russian language and culture. The Russian Flagship Program increases students’ opportunities to delve into Russian language and culture through intensive courses, more advanced courses, and more individual time with instructors and native speakers. The Russian, East European and Central Asian Studies (REECAS) certificate is offered through the Center for Russia, East Europe, and Central Asia (CREECA). Many GNS course count toward the REECAS certificate. The Middle East Studies Program offers a certificate in Middle East Studies. Some GNS courses in Turkish may be used to count toward this certificate. Contact the Middle East Studies program for more information about this certificate and its requirements. All of our first-semester languages courses are open to students with no previous training in the languages taught. All courses beyond first semester require the completion of prerequisite courses or placement via testing or other methods of evaluation. Placement testing is expected for students entering from high school. Students who have had other exposure to the language should take the placement exam and contact the department about placement. Placement for German language courses is determined by a formal placement exam administered by UW–Madison’s Testing and Evaluation Services. Students who have had at least two years of previous instruction in German are required to take the placement exam. See the Testing and Evaluation website for the testing schedule and more information about the exam. Placement for Dutch language courses is determined by an in-person evaluation by our Dutch Advisor. Placement in languages offered in Scandinavian Studies (Danish, Finnish, Icelandic, Norwegian, Old Norse, Sámi, and Swedish) is determined by an in-person evaluation with one of our instructors. To schedule a placement exam, please contact our Scandinavian Studies Advisor. Placement in Russian and Polish language classes is determined by an in-person evaluation with our Russian Undergraduate Advisor and our Polish Placement Advisor, respectively. For placement in Czech and SerboCroatian language courses, see our advising page for the appropriate contact. Students may earn college credit for language instruction in high school by demonstrating competence in a UW–Madison language course. Native speakers of the language in question and students who have not taken that language in high school are not eligible for retro credits. The course taken to earn retro credits must be the student’s first college course in that language; it must be taken before earning 30 degree credits (not including advanced-placement credits); and the student must earn at least a B to receive retro credits. Information about UW–Madison’s policies on retro credits can be viewed on the Language Institute website. 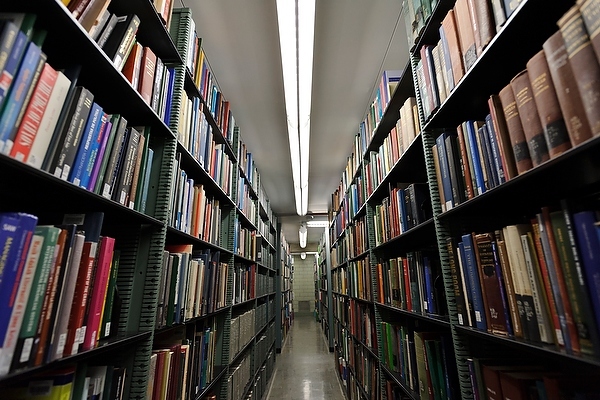 For the complete policy, see the UW–Madison Undergraduate Catalog. For advising and placement in Scandinavian Studies contact our Scandinavian Studies Undergraduate Advisor, Nete Schmidt. For advising on the forthcoming East Central European Languages, Literatures, and Cultures certificate contact David Danaher. For placement in Czech contact David Danaher. For placement in SerboCroatian contact Tomislav Z. Longinović. For information on the Russian Flagship Program contact Laura Weigel or visit their program page. Students may declare a major or certificate in any GNS program by contact the advisor for that program of study. See the advisor tab on this page. Most of our advisor will ask you to meet with them before the formal declaration is processed. Students seeking to enroll in Directed Study courses for German, Scandinavian Studies, Slavic, or GNS must complete a Directed Study Form. Students should complete the form in conversation with the instructor with whom they plan to take the course. In most cases, students will not be authorized to enroll in a Directed Study courses until they have completed and submitted the form to our Undergraduate Coordinator. 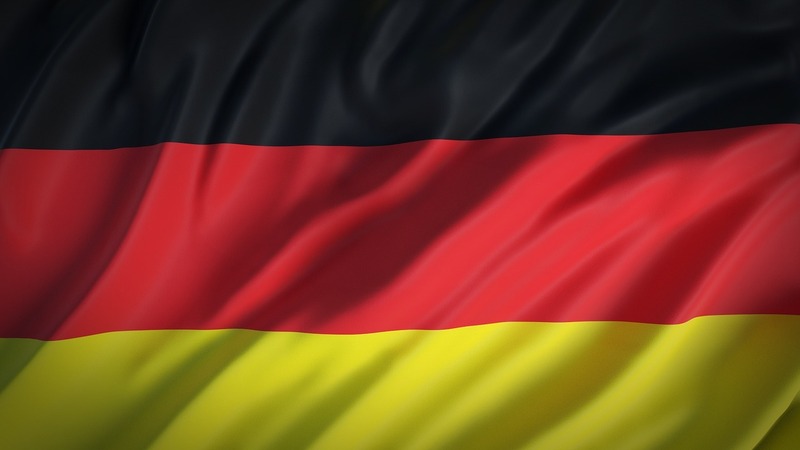 A list of tutors and translators for German is maintained on the Max Kade Institute website. GNS majors and certificates prepare students for a variety of job opportunities. In addition to becoming fluent in new languages, our degree programs give students the opportunity to understand different cultures, think globally, develop their written and oral communication skills, and improve critical thinking and analysis skills. According to the NACE Job Outlook 2016 report, these are among the top dozen skills employers look for in job applicants. Taking advantage of study abroad opportunities only enhances our students marketability. Study abroad experiences demonstrate to future employers that our students possess independence, cultural awareness, and language skills. Many of our majors and all of our certificate students have an additional major, including majors in the science, engineering, and business. Our majors and certificates perfectly compliment these degree programs, and with careful planning double majors can be completed in four years. GNS students should discuss career options with their GNS advisors. The Language Institute provides career advising related to foreign language studies. Contact Michael Kruse, International Directions Advisor, for more information. The Letters & Science Career Initiative & Career Services provides career advising for all L&S students and can be contacted at careers@saa.ls.wisc.edu. The Career Exploration Center is housed in Ingraham Hall 114, directly across from Van Hise. UW’s International Internships Program maintains a database of international internships and provides advising for such internships. They also have information about how to get course credit and funding for your internship. The ScanDesign Foundation offers scholarships to UW-Madison students studying abroad through any UW-approved program in Denmark, as well as to Danish students on exchange at UW-Madison. The American-Scandinavian Foundation (ASF) offers fellowships and grants for proposed research projects in Scandinavian countries, and graduate students are encouraged to apply. The Brittingham Viking Organization offers three full scholarships to American students studying in Scandinavia: the Madison-Ehrnrooth scholarship to Finland, the Madison Middelboe-Kellner Scholarship to Denmark, and the Madison Oslo Scholarship to Norway. The Cultural Agreements program, funded by the Danish government, offers tuition (and room & board) scholarships for summer language courses in Danish for both undergraduate and graduate students. The Danish Institute for Study Abroad (DIS) offers a number of various scholarships ranging in value from $250 to $10,000 for students studying abroad in the summer, fall, or spring semesters. The Fund for Education Abroad (FEA) awards scholarships of up to $10,000 to students from traditionally underrepresented groups. FEA also offers dedicated scholarships for specific demographics. The Upper Midwest Rebild Scholarship Corporation offers scholarships from $1,000 to $3,000 for students studying in Denmark. The office of Undergraduate Academic Awards administers numerous scholarships and maintains lists of campus-wide and national scholarships. UW scholarships can generally be applied for via this page. FLAS fellowships are funded by the U.S. Department of Education to assist students in acquiring foreign language and either area or international studies competencies. FLAS awards are only available for specific languages, and are contingent on federal funding. Please direct any questions to the FLAS Coordinator of your chosen language. Funded by the U.S. Department of State and administered by The Washington Center for Internships and Academic Seminars, the Thomas R. Pickering Fellowship Program provides undergraduate and graduate students with financial support, mentoring and professional development to prepare them academically and professionally for a career in the U.S. Department of State Foreign Service. Both offer the Benjamin A. Gilman International Scholarship for non-traditional study abroad students and projects. This scholarship is available to undergraduate students who are receiving Federal Pell Grant funding. The Foundation for Global Scholars offers scholarships of approximately $1,000 to $3,000 for general study abroad programs, either summer or academic year programs. The Cross Section was founded in October of 2013 by three Scandinavian Studies majors as a cross-disciplinary journal by undergraduates and for undergraduates. Published in the spring in collaboration with graphic design students from Boise State University, the journal presents work of fiction, non-fiction, research essays, poetry, as well as art features such as photography and painting. Inspired by the Wisconsin Idea, editors at The Cross Section help to increase the exposure of student works related to the Scandinavian Studies discipline, support publication of undergraduate students, and connect undergraduates to their peers, mentors, campus resources, and the support networks available to them. Since the first publication, 20 students from five universities have published in The Cross Section. If you’re interested in getting involved as an editor or peer reviewer, or would like to submit please get in touch through their website. Additional information can be found here. Also, check out their Facebook and Twitter. German Club is open to University of Wisconsin-Madison undergraduates, graduate students, faculty members and alumni interested in German, Swiss or Austrian culture. Follow them on Facebook for the latest updates!